This Message is to save us and you time and Money! Please Be 100% sure you need a control board or any other part before you order one. Most of the time throwing parts at a stove will not fix a problem. We have been getting a lot of homeowners who are ordering parts and then wanting to return them because they did not need it. 95% of the time a Breckwell will be operating incorrectly because it just needs general Maintenance and cleaning. Below is a few common problem and fixes for Breckwell stoves. Most of the info below is for Most P24, P23 & P2000 and most P28's but can be used as a guide on all other models. Always Unplug stove and check to see that all wires and connections are securely connected. Check all fuses. Number one problem Especially with P24's with the large ash pan.Problem: No green light after you press the Auger button. Auger will only feed with the manual button pressed. Is the Combustion blower on? If yes continue below. If the auger stops feeding and the green light goes off, with the blowers running, This almost certainly means that the air switch or high temp thermodisk (60-T-21) has interrupted the circuit. a. The vacuum switch if tripped (not activated by pressure), interrupts the Common circuit to the control board. b. The High temp switch if tripped, interrupts the common circuit to the vacuum switch and auger motor. c. Each Blower motor has a direct circuit to the common terminal strip. 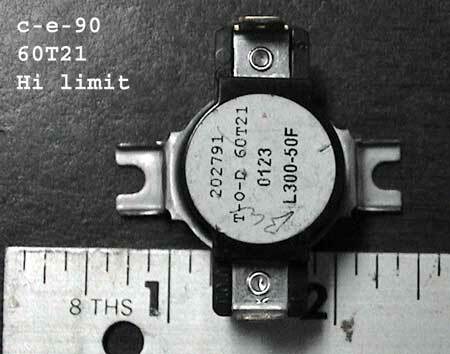 Click here for Vacuum/pressure switch test. Click here for High Limit switch test. Green light after you press the Auger button but no Pellet feed or ignitor. If you have checked all the Connections to the pressure switch and auger motor it could be the Jumpers on the control board have fallen off or on the wrong pins.